I had picked up two shades ~ Pink Passion and Pink Pirouette and I am loving them both. Staying Power ~ 4 hours max, fades evenly. Needs touch up after meals. Pigmentation ~ Pink Passion is more pigmented than Pink Pirouette. Fragrance ~ It smells of Vanilla. 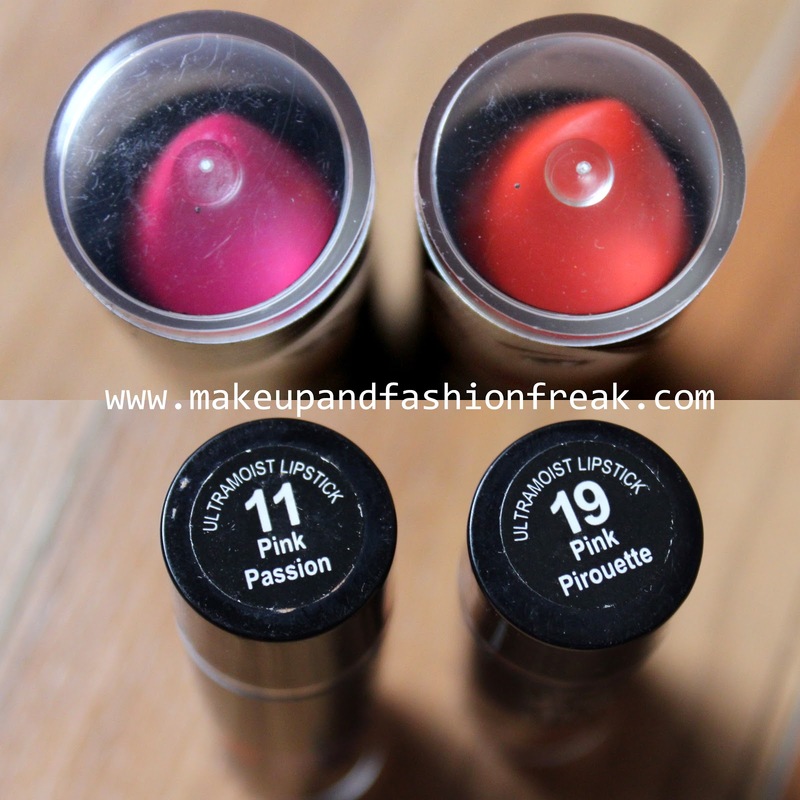 The lipsticks glides on easily and does not feel heavy on lips even after 2-3 swipes. It does not settle in fine lines and is really comfortable to wear. I quite liked the quirky packaging. The only con is that the lid is a bit loose and the bullet does not go in completely. So, you will have to be really careful while closing the lid. Pink Pirouette is a beautiful Orange shade and there's nothing pink about it. Pink Passion is a lovely fuschia shade. CLICK HERE to see the other products available in the collection.